If you don’t know much about Isabella Beeton, besides that she put together a rather weighty niche book, what image leaps to mind when you try to guess what she was like in real life? As you probably guessed from the oh-so-cleverly leading examples, none of the above. 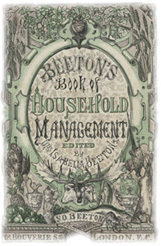 Household Management flickered into volume-by-volume existence in 1861 – although Isabella wrote excerpts for the Englishwoman’s Domestic Magazine from 1857, when she was no more than 21. Already by that point she was a wife, running a home and working as a journalist. When I was 21, my time was invested in obsessing over some guy I was desperate to marry and squeeze 5 kids out of (What was his name again?). I hadn’t much of a clue about budgeting or housework. Certainly, anything beyond Vegetable Pasties and (frequently-burnt) biscuits would have had me reaching for a bottle of wine. Yet by 25, Isabella’s book had been published (after a 4-year slog, amongst everything else the poor girl had on her plate) and she was well on her way to becoming – literally – a household name. Despite her age, her life experiences seeped into her book in one way or another. So, if I’m going to spend 365 days in her shoes, I figure I should have more than just a superficial knowledge of what made her tick. 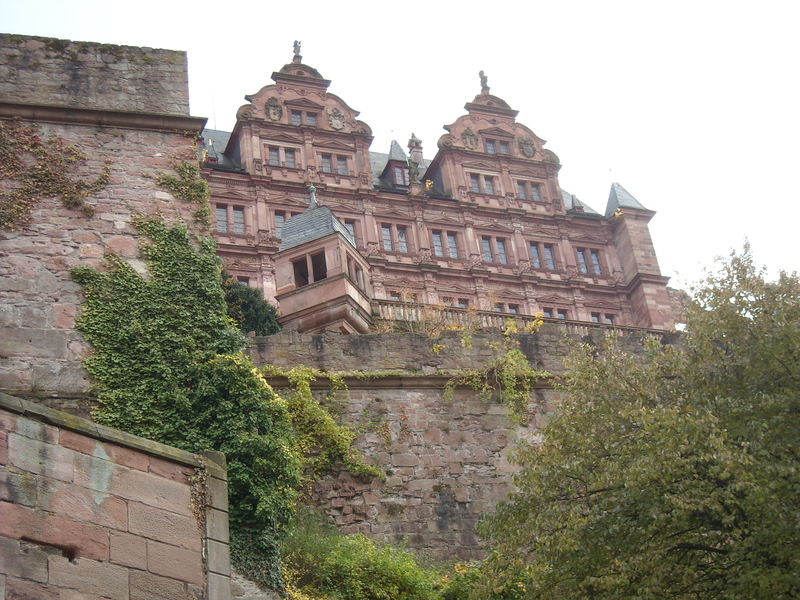 One experience already connects us: she finished her schooling in a historic town not so far from where I currently live – Heidelberg. Isabella would probably be completely at home there, even today. 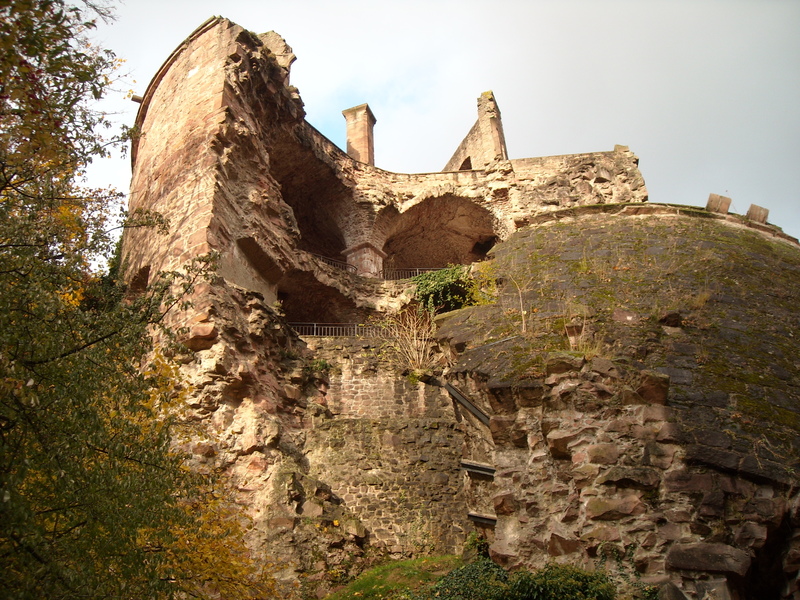 Heidelberg Castle remains mostly an enigmatic, majestic ruin. A toppled gunpowdered tower here, brick-maker’s stamps in the moat wall there, the bakeries, the main street, the vineyard-packed hills and market square all retain their familiarity and centrality to the town’s pulse. It was probably here that she picked up her recipe for Dampfnudeln (a literal translation is ‘steamed noodles’, but in actual fact it’s a steamed bun with a crispy little bottom). One of my colleagues, with glistening eyes and a dreamy smile transporting him back to his Oma’s kitchen as he spoke, told me that they’re not as easy to make as her recipe in theory implies. His grandmother’s mouthwateringly enticing Dampfnudeln were produced in a special pan and required a certain knack to get them right. On Saturday I plan to recreate Isabella’s recipe and compare it to the Dampfnudeln available in 21st century Germany. She may have adulterated it for the middle-class Victorian kitchen. Or perhaps she just decided to simply let them have it with the original. I’ll soon find out. The ginger beer should be ready by Saturday too. When I checked on it yesterday, the yeast froth that she says to skim off wasn’t visible. I’m slightly worried about how it will turn out. This entry was posted on November 26, 2009 at 10:32 pm and is filed under food, Travel. You can follow any responses to this entry through the RSS 2.0 feed. You can leave a response, or trackback from your own site.